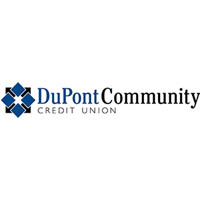 DuPont Community Credit Union (DCCU) was recently recognized with three awards for service to the local community from both the Virginia Credit Union League and the Credit Union National Association (CUNA). DCCU was ranked first in the state with a Dora Maxwell Social Responsibility Recognition Award for DCCU’s impact on the local community through its partnership with the United Way. Additionally, DCCU’s commitment to community education was recognized with two awards – a first place Desjardins Youth Financial Education Award and a second place Desjardins Adult Financial Education Award. The Maxwell award is presented to credit unions in eight asset-size categories for outstanding social responsibility projects in their communities. DCCU employees participated in the United Way of Greater Augusta’s Day of Caring this year by volunteering at several local community agencies. In addition, over 100 hours were volunteered to special projects directly affecting the United Way’s community partner agencies. This award recognizes credit union efforts to teach personal finance concepts and skills to members and nonmembers under age 18. DCCU worked with over 50 organizations to offer financial education opportunities to the youth of this community, resulting in 4,240 financial education exposures. The award recognizes credit union efforts to teach personal finance concepts and skills to members and nonmembers age 18 and older. DCCU’s Adult Financial Education initiatives recorded 413 exposures this year.